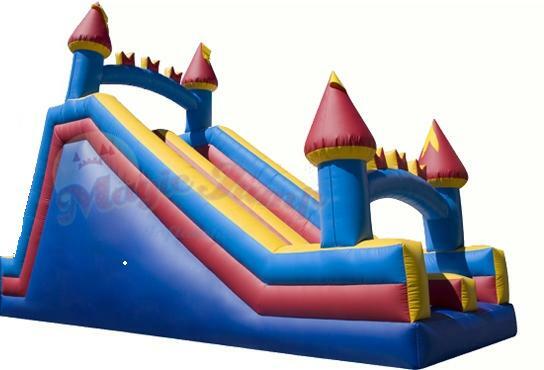 The Giant Castle Inflatable Slide unit measures 27 feet long- 2 lanes allow 2 kids at once to climb up the ladder and slide down an 18 ft slide! The slide platform is 11 feet high and the decorative castle towers top off at 18 ft. The manufacturer recommends riders be 4ft tall for this ride– the ladder is something between a rock-wall and rope-ladder. GO ALL OUT with the Inflatable Castle Obstacle Course – which ends with the Giant Castle Slide! 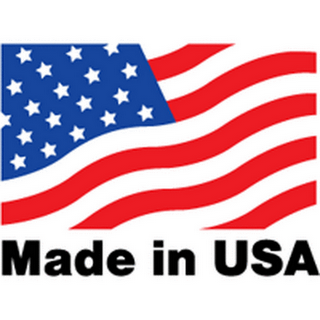 No hidden fees – delivery, setup, travel all included. $50 surcharge for set up on pavement.